Protests outside MILO’s event at the University of Washington turned violent last night with one man being shot, multiple assaults and further calls to violence against MILO being posted on social media. 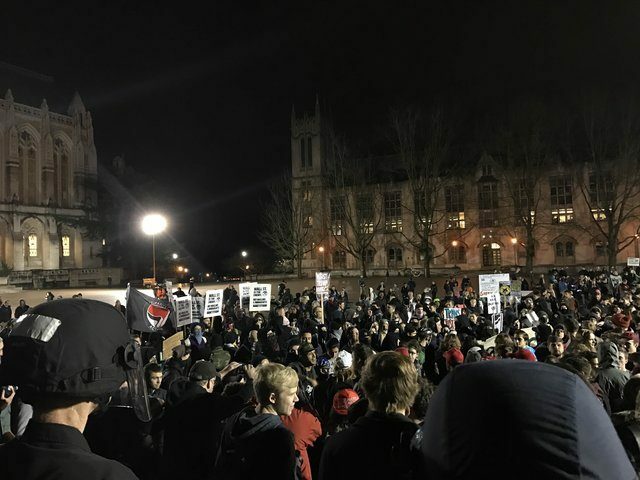 Breitbart reported last night that An unnamed person was shot outside MILO’s event at the University of Washington, amid outbreaks of violence as over a thousand anti-Trump protesters descended on the event. Hospital officials have confirmed to local news that the victim is in stable, though critical condition. A man has been arrested in relation to the shooting according to Seattle PD after turning himself in. When news of the shooting reached MILO, who was then beginning his talk at the University of Washington, he opted to continue, so as not to set a precedent. “If I stopped my event now, we are sending a clear message that they can stop our events by killing people. I am not prepared to do that” said MILO. Police scanner reports last night mentioned a woman with a severe head injury near the college. This report was confirmed by the Seattle PD Twitter page last night. Officers responding to 41/University Way for report of an assault. One person with head injury. Another man was spotted brandishing a taser, police monitored the man but scanner reports indicate that they were not forced to intervene. At one point during the night, police scanner reports stated that protesters began pushing to the top of the lecture hall stairs, surrounding police on both sides. 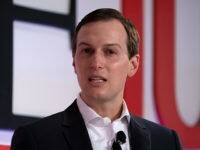 Police requested backup immediately and a second squad was sent to provide help, a tactical team was reportedly positioned on the building opposite. As the number of protesters grew with as many as 1500 reportedly arriving at the university from a separate anti-Trump protest in the city, helicopters circled overhead and the FBI Bomb Squad arrived to provide support to local PD. MILO’s cameraman, Matthew Perdie was assaulted by protesters and had his camera and equipment smashed, luckily he managed to capture the entire incident on video. Another MILO supporter was spotted covered in paint, bleeding from cuts on his face where he had allegedly been assaulted by anarchist protesters. Bats, pipes and shields were confiscated from protesters by Seattle PD earlier that day seemingly mitigating some of the damage done to the college and attendees. The president of the University of Washington posted a statement condemning the shooting at the college, although she incorrectly asserted that the protest was “otherwise peaceful.” As the other examples in this story show, this was evidently not the case. The Mayor of Seattle posted further condemnation of the shooting. 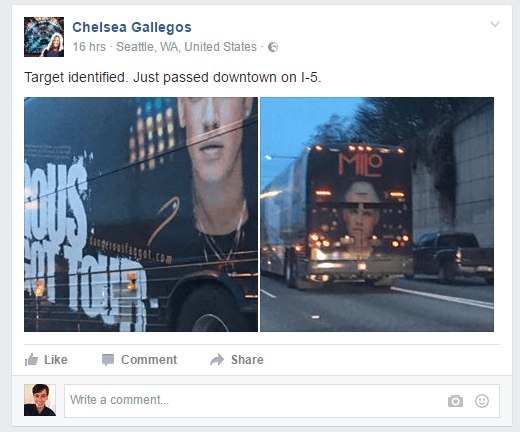 Protesters posted photos of MILO’s tour bus as it left Seattle with the caption, “target acquired”. MILO and his supporters were escorted from the college campus and left unharmed.